MOTIVATED SELLER. BRING ALL OFFERS. 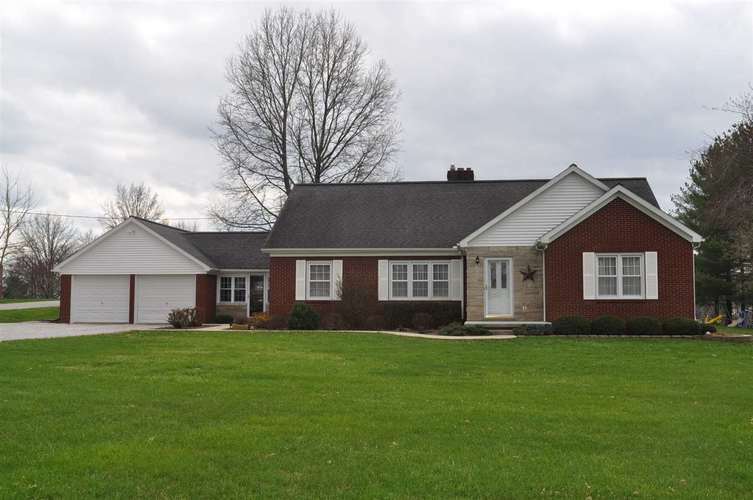 Very well maintained home in Dale on 1 acre. All brick house with lots of charm and with an extra bonus of a 36x48 pole barn for your extra storage needs or hobbies. Walk into this immaculate home with a large family room with fireplace, large dining room, and open kitchen with large island to entertain around. All appliances included. Two large bedrooms on the main floor with a full bathroom. Travel upstairs and find two more bedrooms, full bathroom, and all wood floors. Need a little extra space? This house has a full unfinished basement. This home is wonderful inside and outside with it's immaculate yard and two entry driveway and large level yard. Directions:US 231 going N, Right on Medcalf and house is on the right.